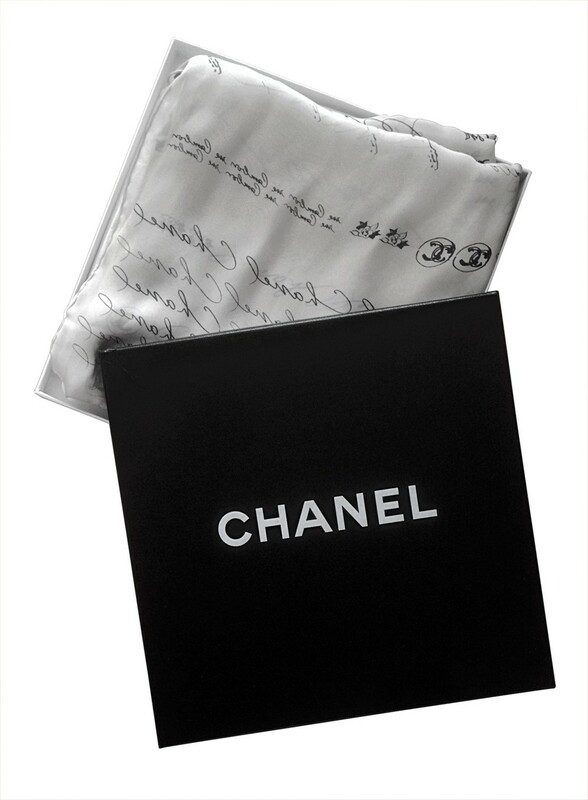 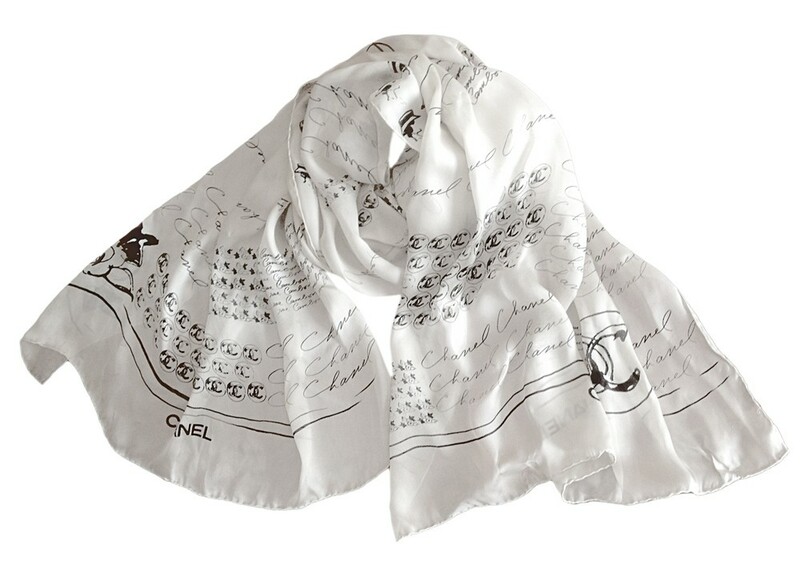 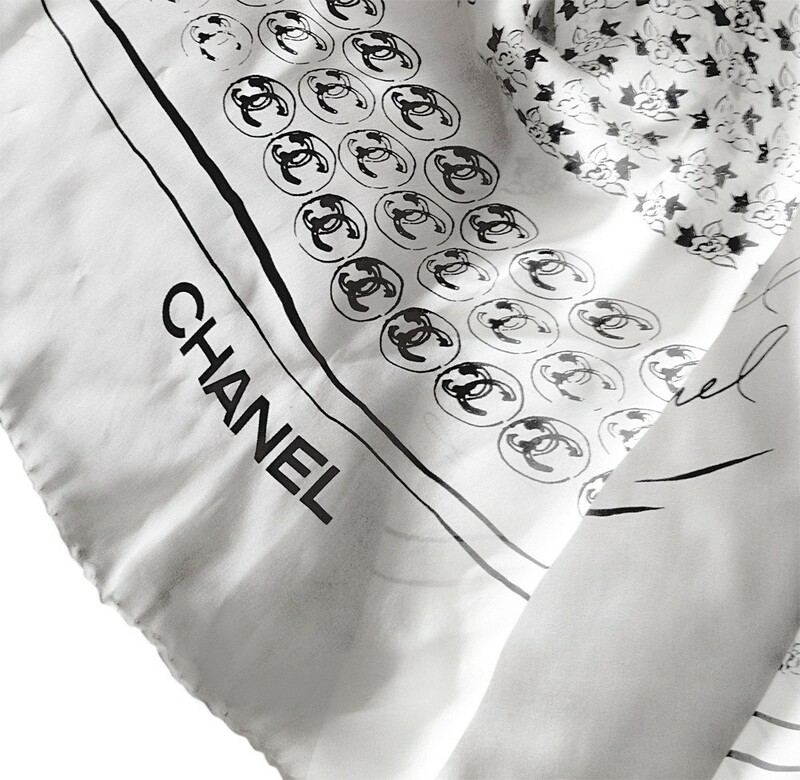 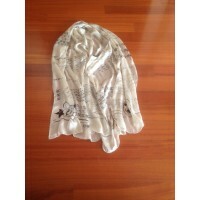 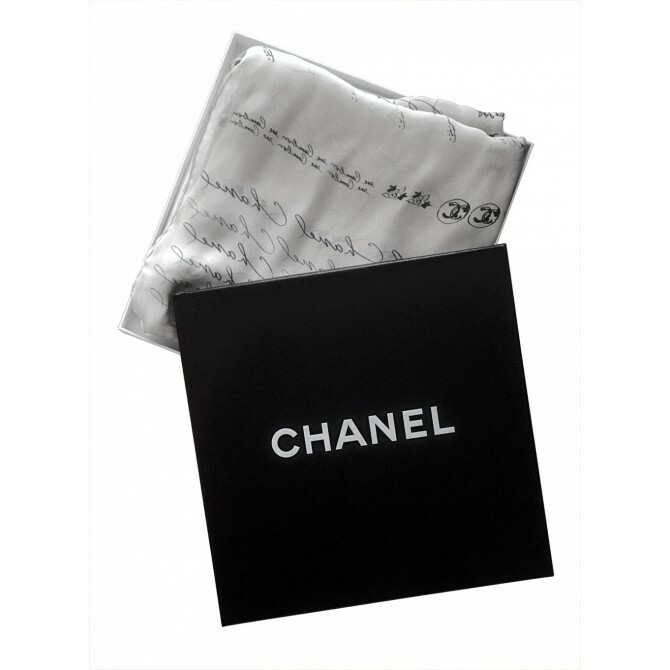 In the original box, 100 % silk, in ecru color with black CHANEL motif. 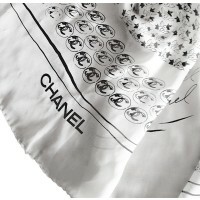 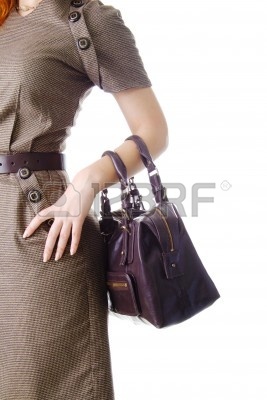 Luxury, elegant , classic , a must have accessory. 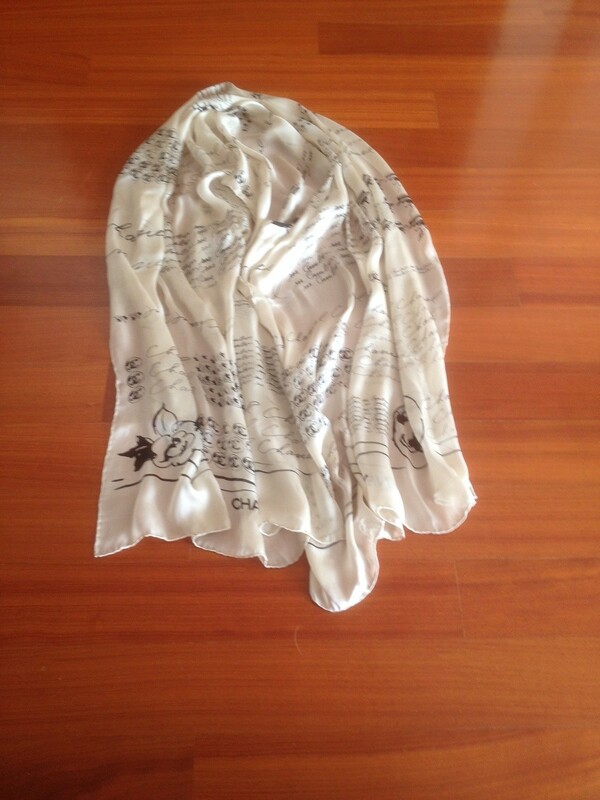 Like new, no flaws or signs of use.